Eventually, culture trumps boycott. Haters will be haters, and BDSers will be loud violent spammers who, in the end of the day, achieve nothing. Habima show took place and was recieved with applause – Another one is taking place tonight. 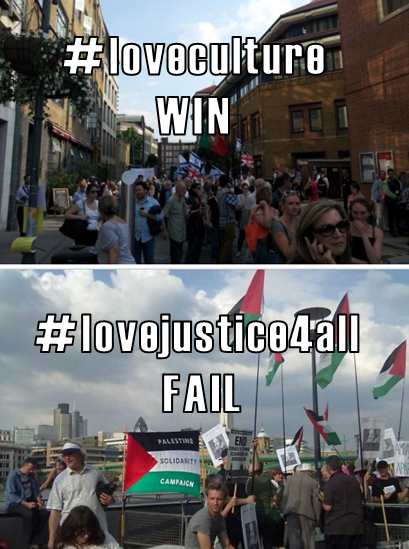 BDS protesters showed hardly any presence and certainly no effect, apart from being arrested. And despite the unbalanced media coverage, where it actually means something – we all #loveculture. 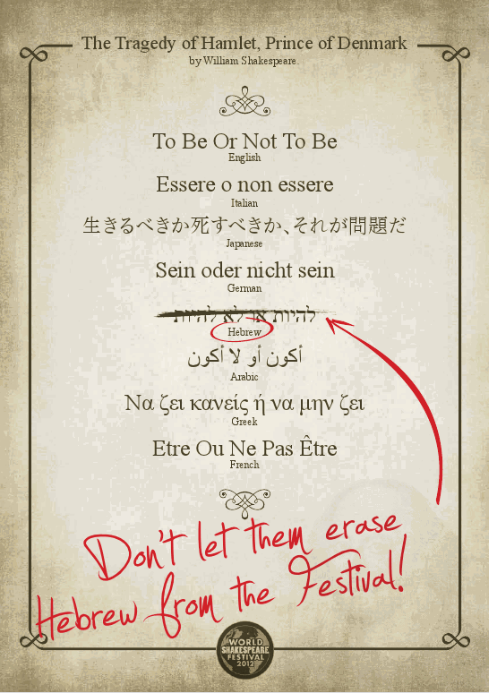 Share these if you support free art and culture without borders! During the last month London has been hosting the Shakespeare Festival, where Shakespeare is being reenacted in 37 different languages including rap and sign language 🙂 and of course Palestinian Arabic. I brought the subject up a while ago, after BDS activists have called to ban Habima, Israel’s national theater, from the Festival and failed. The bottom line of the answer they received from the Globe was simple- We separate the arts from politics. Habima shows at the festival are due this week- Monday and Tuesday nights. 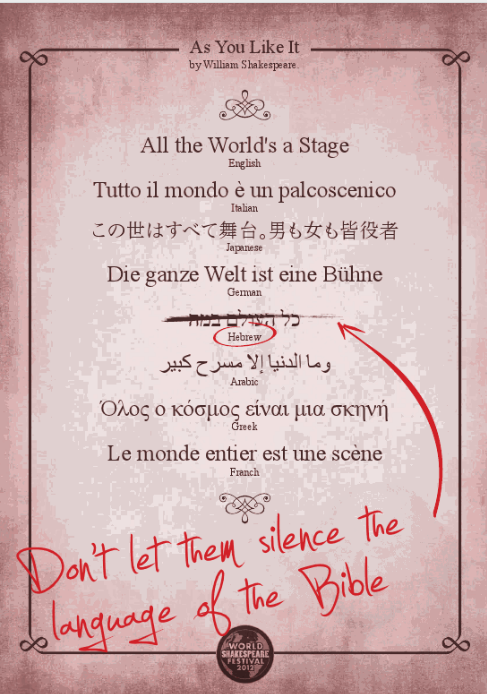 From what I’m hearing (they’re not exactly being secretive about it…) BDS activists are planning on interrupting Habima shows in any way the can. Unfortunately, me and fellow Pro Israel activists can’t be there by body, but we sure will support Habima actors by soul, and of course spread our digital love! 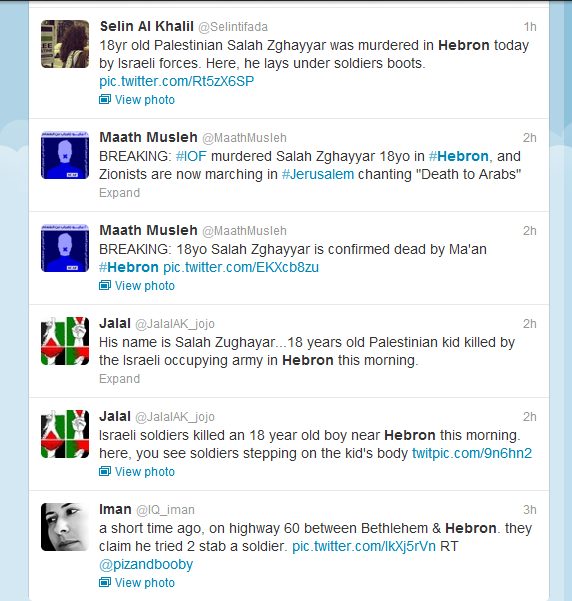 Others are already campaigning big time to celebrate the #BDSfail Culture and art #win. This is the source! 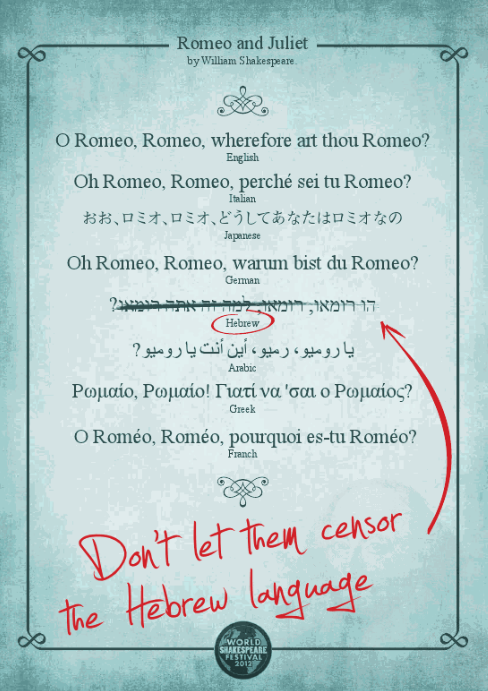 If you agree with me that Shakespeare should be played in Hebrew just like in any other language, and that boycotting Habima isn’t just pointless- But is downright harmful, just be prepared to take action too. I’ll be online Monday and Tuesday nights from 19:30 PM, ready to receive and spread reports from the shows. Israel = Baaaaaaaaaaaad, Palestine = Goooooooooood. 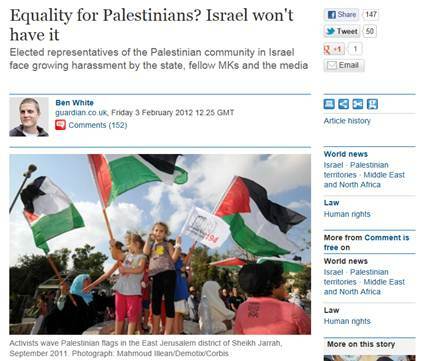 “Ben White is a freelance journalist, writer, and human rights activist, specialising in Palestine/Israel.” At least, that’s how The Guardian and the Electronic Intifada describe him in his profile at its site. I think that even Ben White would reverse this description, placing activism before journalism. 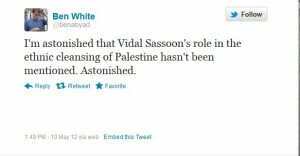 He is eloquent and passionate but above all, he is 100% biased to the “Palestinian” cause. 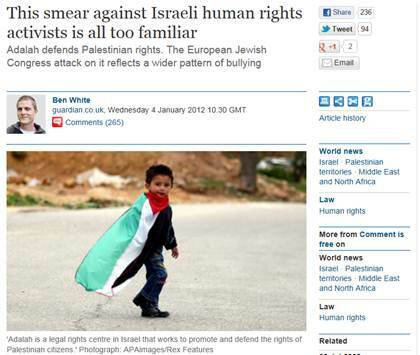 The following headers of two articles published in The Guardian exemplify this black and white world view. Is the Palestinian cause as innocent as the children in these pictures? Definitely not. But White and his editors know that images of children help sell this black and white world view and they have no qualms about using them to attract readers beyond White’s regular choir. In White’s black and white world, anyone who was in the Israeli army, which includes all Jewish Israelis who must serve in the army, is an ethnic cleanser regardless of his or her views on the conflict. 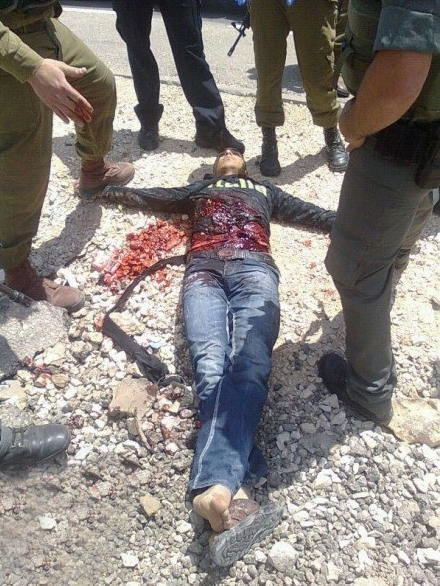 White childishly would have us believe that all Israelis are blood thirsty Zionist while his counterparts would want us to believe that all Palestinians are blood thirsty terrorists. I write “childishly” because children tend to lean towards black and white views as well until they develop empathy for others and life and experience give them the ability to discern shades of grey. Obviously, this conflict is a little more complicated than White would have us believe and the shades of grey are as numerous as the amount of people holding specific views concerning the conflict. The truth is neither here nor there. It is everywhere. It is in the multitudes of shades of grey. It is the lack of empathy on both sides, that keeps this conflict alive. White should grow up a little and understand that it is his lack of empathy, just like his apartheid/colonialist/racist counterparts’ that is fueling this conflict. Perhaps if he and his equally childish counterparts did grow up and accept the shades of grey that envelop this conflict, the children of the land of Palestine AND Israel will have a chance to grow up as well. According to Wikipedia, Omar Barghouti is ” a founding committee member of the Palestinian Campaign for the Academic and Cultural Boycott of Israel (PACBI) who is currently studying for a masters degree in philosophy at Tel Aviv University. 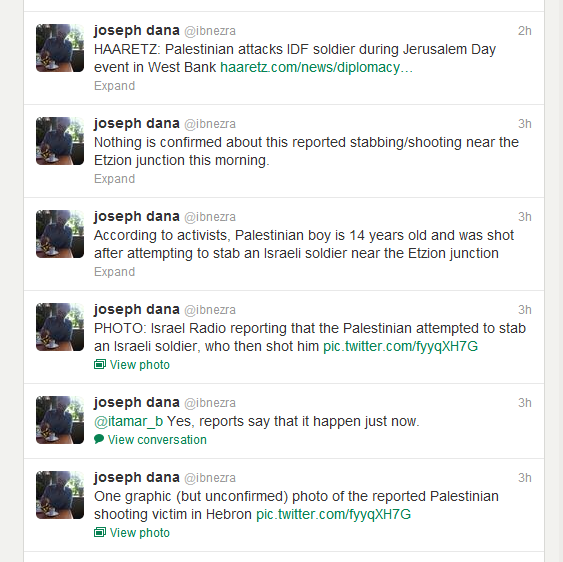 ” In general, a key figure in the BDS crowd. What I find extremely ironic is that the very man who says that feels okay with studying philosophy in a “white” university, Tel Aviv University. So you won’t have them lecturing you on violence, but you will on philosophy? You will enjoy funds of the so called “violent” Israeli government (which funds most of the academic studies costs of the public universities) to obtain your degree? Whatever your political views may be, share and re-post this info to have these opinions delegitimized in public, social and academic circles. While political stances are all legitimate, racism is not.